If you want to begin something, just do it. Sometimes it means a fresh start, sometimes it’s starting out on something new. Sometimes, it’s taking the plunge with something difficult or brand new and you need to overcome the fear, stepping outside your comfort zone. There was a child who liked the water and went to the swimming pool every day on her holidays. She couldn’t swim but she knew how to stay afloat and get to the side of the pool. One day, she decided to jump off the diving board. It was springy and great fun. So she decided to try the higher diving boards. She found that jumping off these could hurt if you didn’t go in straight! In the meantime, the swimming pool staff had informed her relatives that she was moving about in the deep end (you couldn’t call it swimming) so she was taught to swim and then to dive. Diving started on the side of the pool and progressed to the first diving board. Once proficient at that, she was asked to try the higher board. She had jumped from that one previously before she learnt to swim and was now wary, even though she knew how to dive and to swim. She stood on the edge of that diving board trying to gather her courage to begin the swoop, head first into the water ten feet below. It was cold in a wet swimming costume and she shivered in the breeze. She was about to turn and climb back down again when she glanced over the edge of the swimming pool wall to the street outside to see a family waiting at a bus stop watching her. At that point, pride took over. No one was gong to see her fail and she just did it. No thinking, no preparation, no worrying. The practice took over and she entered the water with no painful thump, just cut it cleanly. Sometimes you just do it. 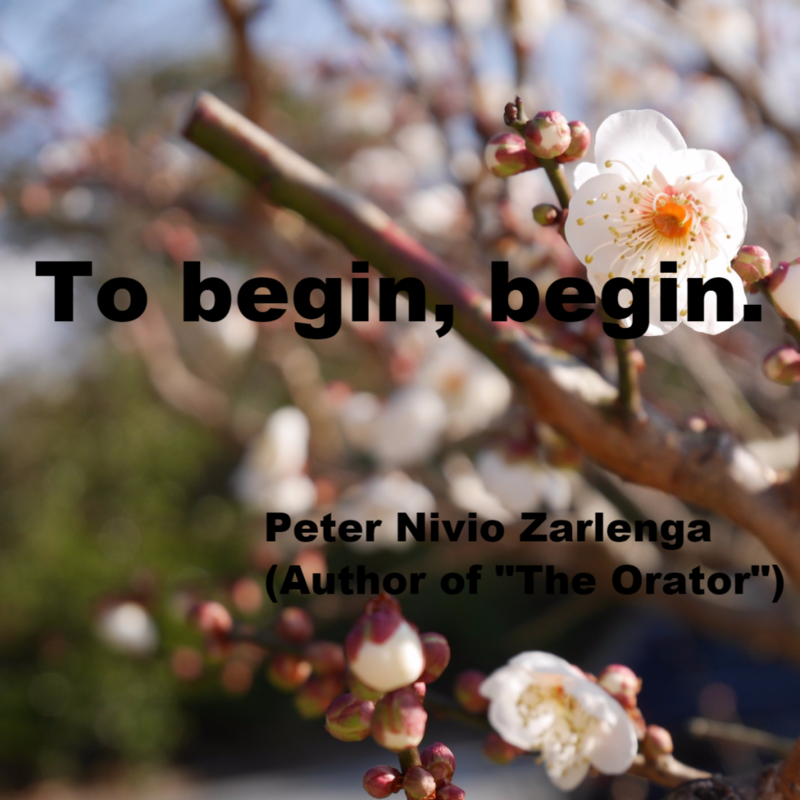 To begin, begin.